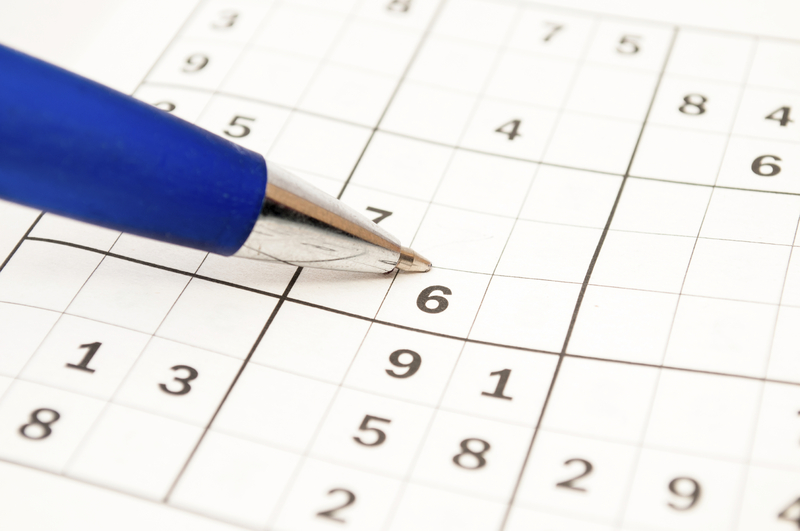 Solving sudoku puzzles led to seizures in a young German man, say scientists from the University of Munich who wrote about the unusual medical tale in JAMA Neurology. The 25-year-old man, a physical education student, had survived being buried just weeks before by an avalanche during a ski trip. Deprived of oxygen for 15 minutes, he developed muscle jerks when he tried to speak and walk. While in the hospital, he was trying to work out a sudoku puzzle when he began to experience clonic seizures of his left arm, which had not been injured in the accident. Clonic seizures involve repeated jerking of the muscles. When the patient stopped trying to solve the puzzle, oddly, the seizures ceased. In their report about the unique case, Dr. Berend Feddersen and colleagues explained that the patient experienced reflex epilepsy which is characterized by seizures induced by external stimuli such as reading, making calculations, touching, a warm bath, playing games, noise -- or in this case, a sudoku puzzle. To solve a sudoku puzzle, every digit from 1 to 9 needs to appear in each of 9 vertical columns, in each of 9 horizontal rows, and in each of 9 boxes. The way the patient figured out answers to the puzzle was by visualizing solutions in 3D, but because his brain was damaged by the accident, this triggered reflex epilepsy. While the case study focused on sudoku as the trigger, the patient told CBS News in an email that other things can set off his seizures as well. "Take crossword puzzles ... excel sheets ... they all share something: horizontal and vertical lines and the brain must calculate, then focus on one certain spot (to write something down) PLUS the fingers have to move. I think that this combination causes the real problem," he said. Why would this happen? "In our patient, hypoxia [oxygen deprivation] most likely caused some diffuse, widespread damage," Feddersen wrote. The brain consists of brain cells connected by fibers, explained Mayo Clinic neurologist Dr. Elson So, an epilepsy specialist. "We can look at the brain as a network system. There are some centers for mathematical concepts and others for language. The authors have shown with some evidence that the fibers connecting the centers were damaged," So said. So explained that not all the fibers in the brain play a role in "activating" specific functions; they also play a role in keeping other things down. "Every complex system needs an activating and deactivating systems. Everything in moderation." He said the fibers that are supposed to moderate the excitation for mathematical concepts and exercises had become hyper-activated because of damage to fibers that should be tempering the excitation. "It's a very interesting finding and a nice demonstration for what is basically reflex epilepsy," said So. Fortunately for the patient in Germany, kicking his sudoku habit was enough to stop the seizures. "Our patient stopped solving sudoku puzzles and has been seizure free for more than five years," Feddersen wrote. In addition, the man said, "I stay away from crossword puzzles ... Once in a while I play scrabble, but unfortunately problem [is] the same. I don't miss it. There are so many things that I miss (in contrast to my old life), sudoku and crossword puzzles are the least important ones."